When it comes to who has influence over my kids, sports idols rate very high. We are a SF Giants fan family – and my twins were lucky enough to play in 2 years of Little League where there team was called the “Giants”. 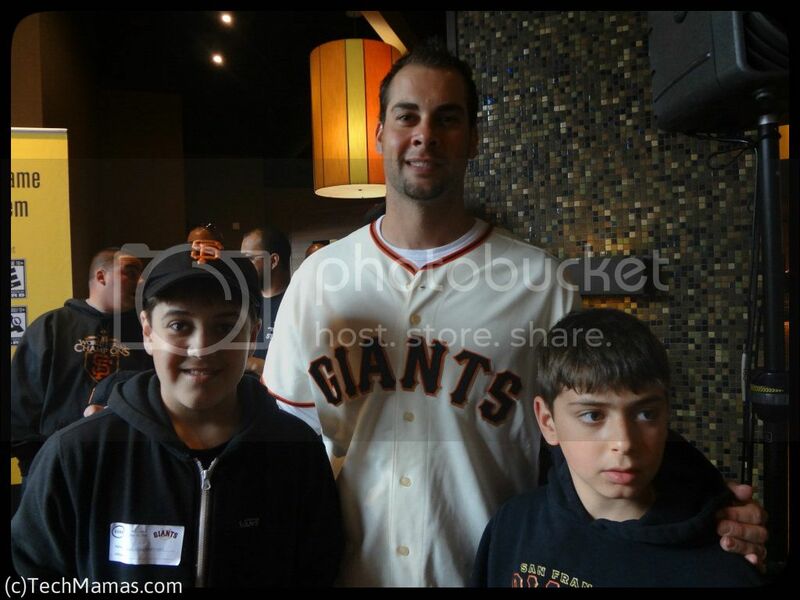 So of course the SF Giants have a huge impact on my sons. Their dedication, hard work and teamwork are something I remind my sons to model in their own life. The ESRB is an organization that not only assigns content ratings for computer and video games, but also helps parents understand the content each game. 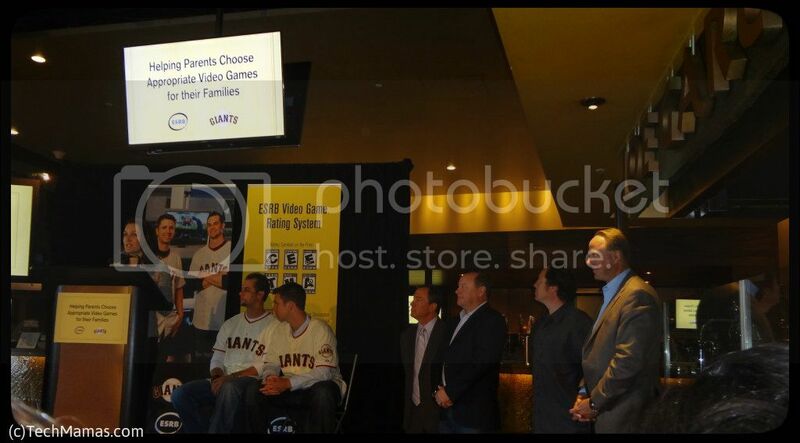 When I was invited to press event with the Giants and ESRB about a new PSA (public service announcement) campaign educating parents about the video game rating system – that was a “home run” event for me not only as press but as a parent. Of course, I had to bring my boys with me (it was my own unofficial bring your kids to work day!).. 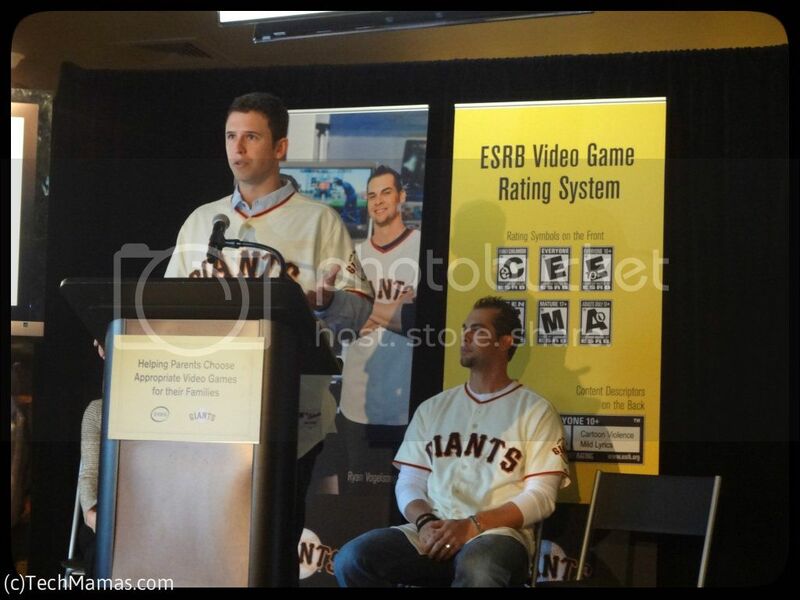 The PSAs,” which feature the players explaining the ESRB rating system and encouraging parents to use it when buying games for their families, will begin running on television and radio stations throughout Northern California as well as on the video display boards in AT&T Park during Giants home games.” The representatives at the event were Buster Posey – San Francisco Giants catcher, Ryan Vogelsong – San Francisco Giants pitcher joined Patricia Vance – President ESRB, Michael Gallagher – President and CEO of the Entertainment Software Association, Jack Tretton, president and CEO, Sony Computer Entertainment, Laurent deToc – Executive Director for North America, UbiSoft, other ESRB and Giants representatives and Families from Junior Giants. Then the local mom bloggers got together for a picture: Left to right – Adel Vardell (HappaMama), Beth Blecherman (thats me – TechMama! 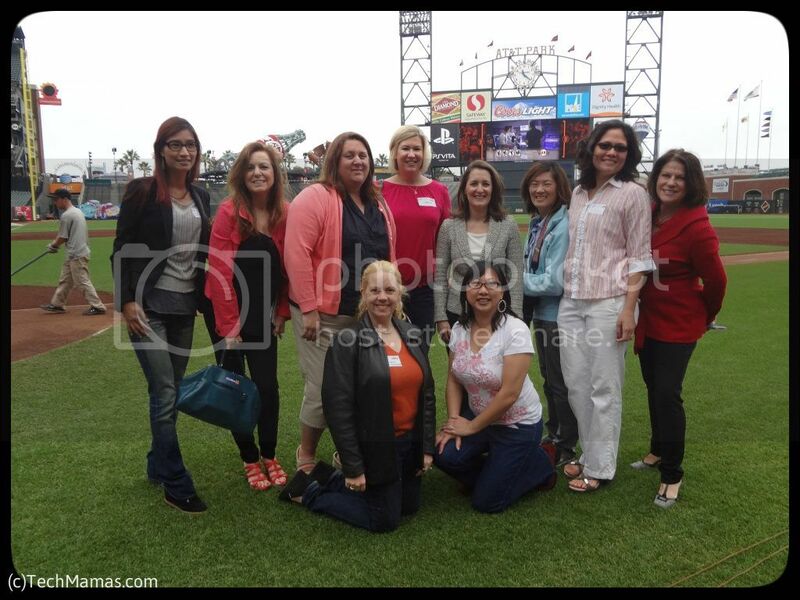 ), Kimberly Kauer Postlewaite (Silicon Valley Mamas), Lia Frietas (Mama’s Starting Over), Patricia Vance (ESRB), Ana Picazo (Finding BonggaMom), Perrin Kaplan (Zebra Partners). On bottom row: Kari Dahlen (The Karianna Spectrum). Taking the picture: Michele Spring Fajeau (Zebra Partners). 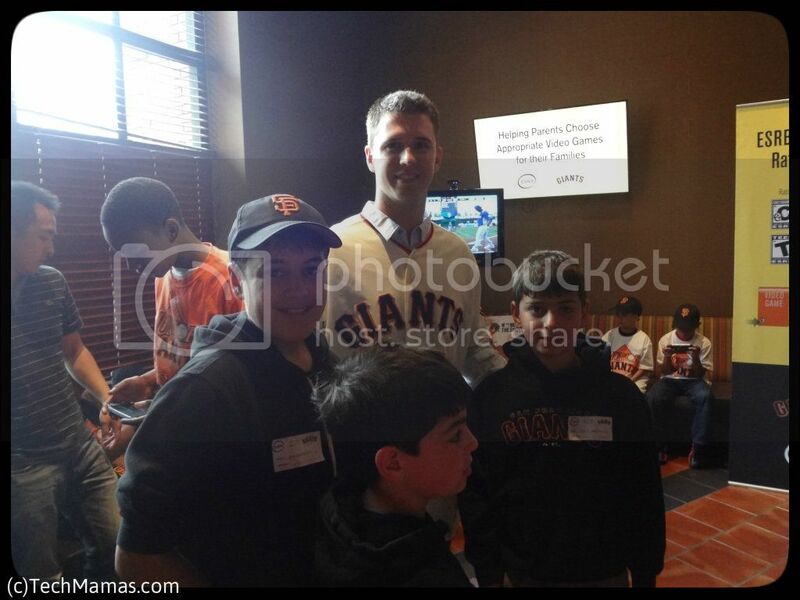 My sons were beyond excited when Buster Posey (San Francisco Giants catcher) not only shook their hand but posed for a picture! The official press release is below. My boys never knew that computer and video game ratings could be so much fun! 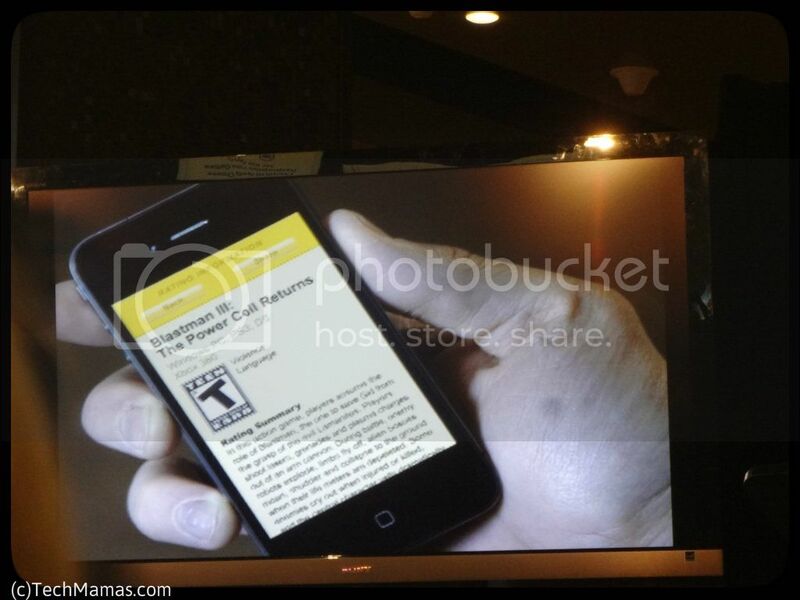 Disclosure: This was a press event. All of my words are my own. 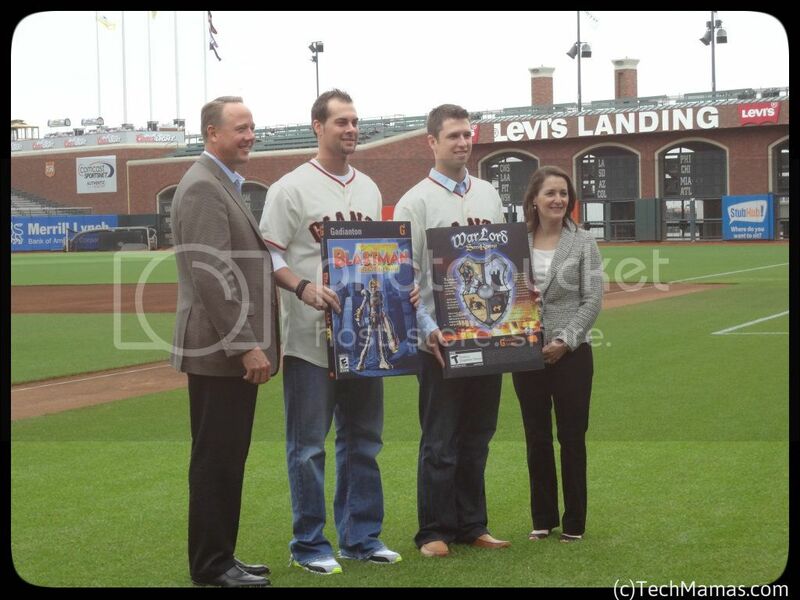 SAN FRANCISCO – At an event at AT&T Park today the Entertainment Software Rating Board (ESRB), which assigns the official age and content ratings for computer and video games, announced a new public service announcement (PSA) campaign starring San Francisco Giants catcher Buster Posey and pitcher Ryan Vogelsong. 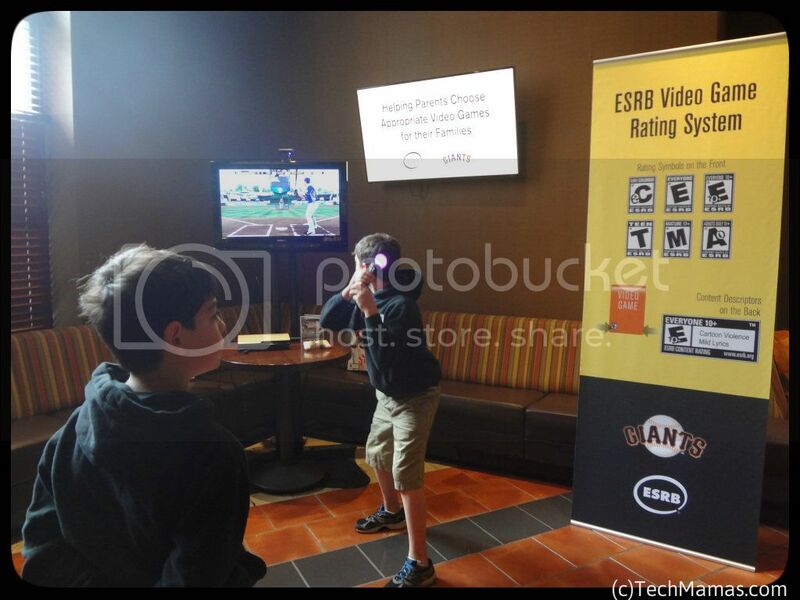 The PSAs, which feature the players explaining the ESRB rating system and encouraging parents to use it when buying games for their families, will soon begin running on television and radio stations throughout northern California as well as at Giants home games this season. The new PSAs have been distributed to TV and radio stations and cable systems throughout the San Francisco Bay Area and northern California, and are expected to run throughout the 2012 baseball season. 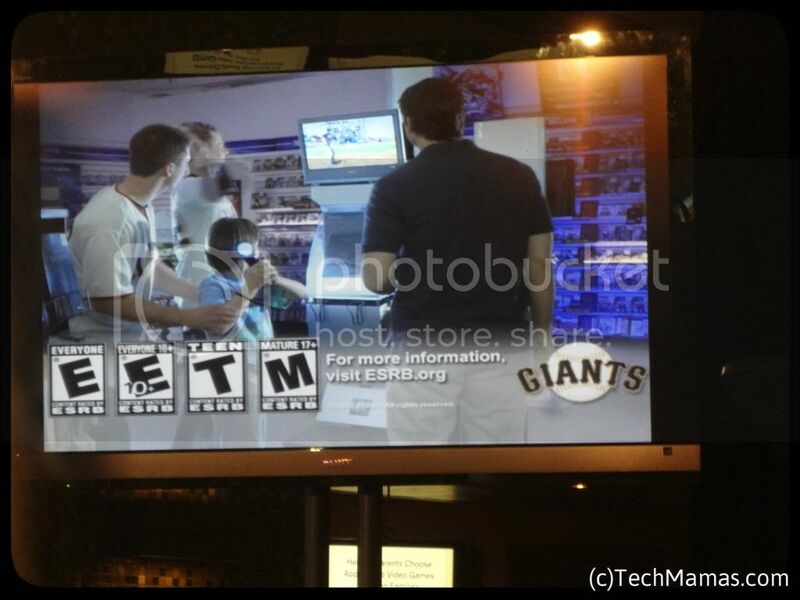 They will also appear on the video display boards in AT&T Park during Giants home games. 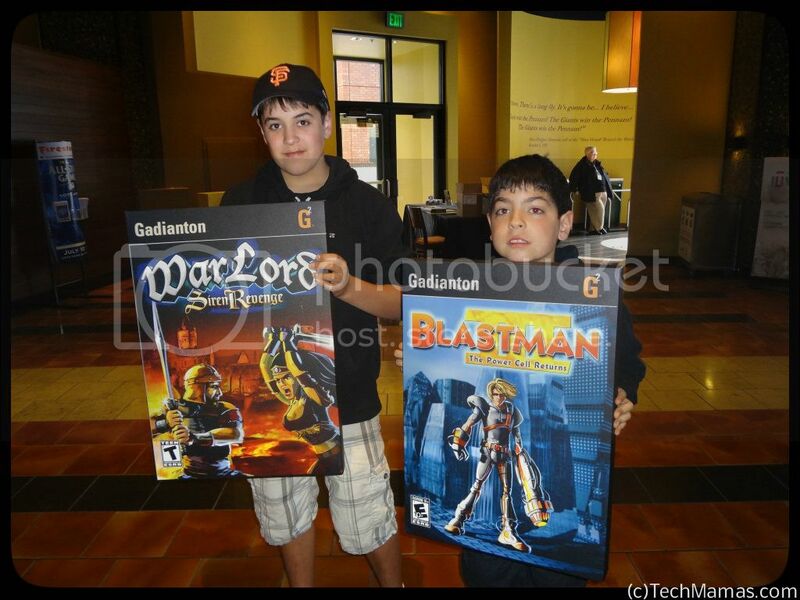 In addition, Gamestop and other Bay Area retailers are distributing ratings education brochures featuring the players. A “Behind-the-Scenes” video of the PSA filming is also available for an inside look at the making of the campaign. 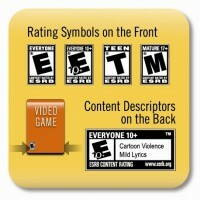 The ESRB video game ratings consist of two parts. Rating symbols on the front of every game package sold at retail provide an age recommendation. On the back, next to the rating, are content descriptors that provide information about what’s in the game that may have triggered the rating or may be of interest or concern to parents. In 2008 the ESRB began offering rating summaries, a supplementary source of information that gives parents a detailed yet brief and straightforward description of exactly the kind of content they would want to know about when choosing a game for their child, including specific examples. Parents can look up a game’s rating summary right from the store using a free mobile app (www.esrb.org/mobile) or mobile website (m.esrb.org), or by searching for games on ESRB’s website at www.esrb.org before heading to the store. 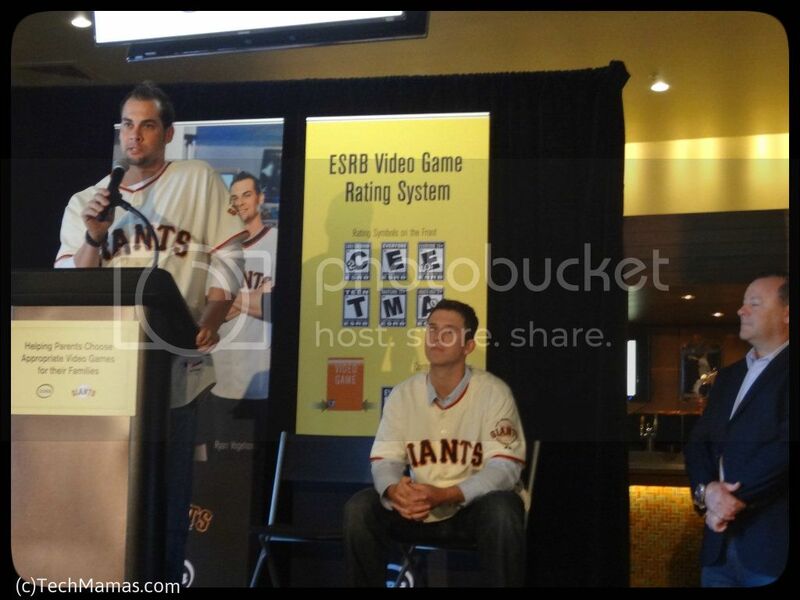 Both players spent time at the press event playing MLB® 12: The Show™ for PlayStation®3 (PS3™) with members of Junior Giants, the flagship program of the Giants Community Fund, which provides a free, non-competitive and innovative baseball program for boys and girls ages 5-18 years old. Each youngster received a PlayStation® Vita and copy of MLB 12: The Show for PS Vita courtesy of Sony Computer Entertainment America (SCEA).